If you missed this Fox News special on Benghazi, please tune in when it airs again this weekend. You’ll see how over 200 years of U.S. military ethos and honor was abandoned for political gain during Obama’s 2012 re-election campaign when the Obama administration left these brave Americans to die in Benghazi. 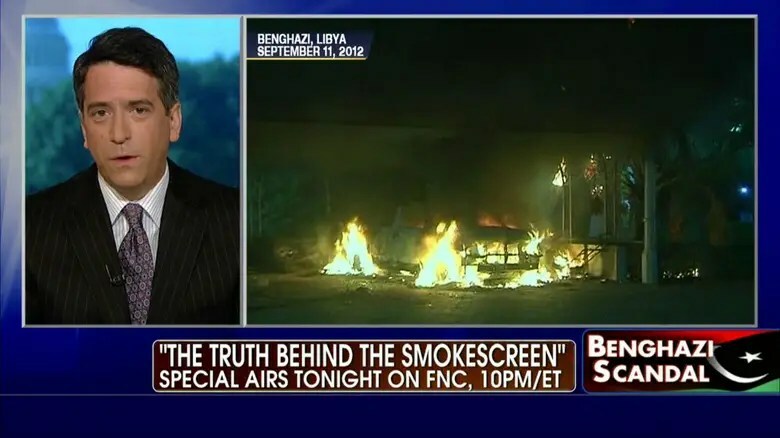 In Fox News Reporting – Benghazi: The Truth Behind the Smokescreen, Bret Baier will provide a comprehensive look at all of the new developments in the story, including the fact that just last week, four more subpoenas were issued for officials at the State Department. The special will also include the first-ever interview with the filmmaker who made the anti-Muslim film wrongly placed at the heart of the Benghazi narrative by the Obama administration. View the preview video here. Governor Palin said that the bill was rushed through and does not solve any of the problems with illegal immigration and is an “absolute betrayal of the will of the people and the rule of law.” She said that there will be problems with the amnesty bill just as there have been with Obamacare, which was also rushed through without being read by most of those who voted on it, and that that is quite unfortunate. Asked what she thought of Obama’s response this week over concerns about Snowden that he was “in no rush to pick up what he described as simply a hacker,” Governor Palin said that the problem is that the government has lied to us and it took Snowden to disclose that they are spying on our communications. However, she said, “if he has violated the law, he needs to get back here and answer to the rule of law, because we are still a nation that respects the rule of law, right? Even though the Amnesty Bill just thwarted all of that.” She said Obama’s choosing to “lead from behind” on this issue just reflects the Community Organizer in Obama, a lackadaisical attitude that he doesn’t have to take responsibilty. His resume, she said, proves that he hasn’t had to take responsibility for much over the years. "Obama Calls Rubio to Congratulate Him on Immigration Reform" shar.es/xLWXm ...Hope it was worth 30 pieces of silver. On Friday, President Obama took time out from his trip to Africa to call members of Senate’s so-called “Gang of Eight,” including Sen. Marco Rubio (R-FL), to congratulate them on the immigration reform bill that passed the Senate on Thursday in a 68-32 vote. Obama was unable to actually reach Rubio. Obama also called Speaker of the House John Boehner (R-OH) to push him to take up the Senate’s immigration reform package. Rubio’s goose is cooked. Choices have consequences. Governor Palin posted this comment and photo about an hour after her related Facebook post below. This is the article at Breitbart.com by Stephen Bannon and Tony Lee that Governor Palin linked to. Her words are especially important as the immigration fight heads to the House, where Republican leaders have signaled they want “action” even if they do not take up the Senate bill. Not even 24 hours after Palin spoke, Ryan Lizza, a reporter for the liberal New Yorker magazine, revealed on June 16 that staff for Sen. Marco Rubio (R-FL), the leading face behind the push for “comprehensive immigration reform,” denigrated American workers, adopting the mentality of the donors and chamber of commerce fervently backing the immigration bill. As Breitbart News wrote, two members of Sen. Marco Rubio’s (R-FL) staff disparaged American workers to Lizza, telling him there are American workers who “just can’t cut it” across “every sector.” Days later, a devastating Congressional Budget Office report concluded that the Senate’s immigration bill would lower wages and raise the unemployment rate in an economy that is nowhere near healthy. On Tuesday, Palin fired back, specifically mentioning to Breitbart News that she would like to see Rubio (R-FL) and Sen. Kelly Ayotte (R-NH) primaried for turning their back on voters and supporting the Senate’s amnesty bill even though they promised they would put border security before amnesty while campaigning in 2010. Palin is leading the charge on immigration, but she is not alone. Talk radio host Rush Limbaugh has unmasked the motives of those behind the immigration bill last week, denouncing the “big money” donors, consultants, and the crony capitalists who just want an unending supply of cheap labor and do not care about America’s working class. Last Friday, a panelist on Fox News’s Hannity’s panel of black conservatives, which included Sirius XM Patriot’s David Webb and Breitbart’s Sonnie Johnson, emphasized that the Senate’s immigration bill would have a “detrimental impact” on black Americans. Sen. Jeff Sessions (R-AL), one of the most critical opponents of the immigration bill, noted that the bill would hurt working class Hispanics in addition to all working class Americans and the “poorest among us.” Sessions noted that according to the CBO report, the bill would have a devastating impact on wages of Americans looking for job security, and it would raise the unemployment rate while only solving 25% of the illegal immigration problem. He posited that between 30 million and 50 million workers will be added to the labor force in the next ten years, completely destroying the possibility of upward mobility of working class Americans of all backgrounds. Yet, Republican senators like Murkowski (R-AK), Rubio (R-FL), Ayotte (R-NH), McCain (R-AZ), and Graham (R-SC) voted for the final bill. “Why would any Member of Congress want to vote for a bill at a time of high unemployment, falling wages?” Sessions asked on CBS’s Face the Nation on Sunday. The answer, as Palin emphasized, is because leadership in Washington, D.C. has morphed into a permanent political class that puts its own well-being and prerogatives first. At the Faith and Freedom Coalition conference, Palin denounced the current spate of Washington scandals as being part of a greater disease. She said neither party was immune because the “good ol’ boys in leadership on both sides of the aisle” perpetuate the problem. As the documentary film “The Undefeated” chronicled, Palin has always been a citizen-politician, having started out in politics by running for city council, then becoming a mayor of her home town before being appointed as the chair of the Alaska Oil & Gas Conservation Commission, where she earned the respect of ordinary Alaskans by blowing the whistle on corruption in her own party. She then ultimately became Alaska’s reform-minded governor—after rocking the Alaska Republican political establishment in 2006 by defeating the incumbent Republican governor and former Alaska senator Frank Murkowski in the primary. The former Republican vice presidential nominee reminded Republicans on Sunday in her Breitbart News piece that these working class Americans are the voters who, despite their dislike of Obama, sat out the 2012 election because they did not think Mitt Romney was one of them or would fight for them. She’s right. As Byron York of the Washington Examiner noted, Romney would not have won the election even if he had won a mind-boggling 70% of the Hispanic vote (Obama won 71% of the Hispanic vote in 2012). Yet, had 389,821 more working class voters in four states (149,298 in Virginia, 74,309 in Florida, 166,214 in Ohio and 39,643 in New Hampshire) turned out for Romney, he would have defeated Obama with 270 electoral votes to Obama’s 268. Further, a May 2013 Center for Immigration Studies report found that, based on newly-released Census data, 4.7 million fewer whites–4.2 million of whom lacked a college education–voted in 2012 than in 2004. The study found that had Romney increased his share of the white vote by just three percentage points (59% to 62%), he would have won the popular vote. For Republicans to win back the majority and the presidency, they need to win the so-called Reagan Democrats and a new generation of working class minorities who will have to become Reagan Democrats 2.0. They need to win over the father who got laid off from his manufacturing job and has a child who did everything society said to do–go to college, get a degree, find a decent-paying job in the technology industry–and now may meet the same fate his father did when the labor market is flooded with an influx of cheap immigrant labor brought to do jobs Americans supposedly do not want to do. These Americans that the immigration bill most adversely impacts make up the backbone of this country and see in Washington a permanent political class who are against them and think they “can’t cut it.” They see in Palin, though, someone who fights for them because she simply “gets” it–and them. (Updated) Gov. 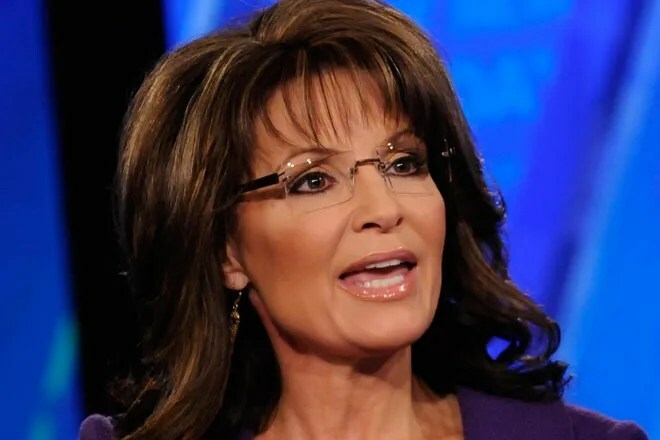 Palin: What is a radical leader with ties to terror doing in our White House? Governor Palin tweeted this yesterday. She linked to this article at FoxNews.com. Michelle Malkin has more (h/t Jews for Sarah). Muslim Brotherhood figures show up in the White House visitor logs. Forget Paula Deen. There are far more dangerous bigots and poisonous haters spoiling the American landscape. They cook up violent rhetoric and murderous plots against our troops, our citizens, and our allies 24/7. And they have direct access to the White House. No kidding. Another Qaradawi cheerleader, Hisham al-Talib, was welcomed last spring at the White House by Obama’s Office of Faith-Based and Neighborhood Partnerships. Four days later, White House officials welcomed a foreign delegation of the radical sharia-enforcing Muslim Brotherhood from Egypt. As I reported previously, al-Talib is an Iraqi-born Muslim identified by the FBI as a Muslim Brotherhood operative and a major contributor to the left-wing Center for Constitutional Rights, the group of jihadi-sympathizing lawyers who helped spring suspected Benghazi terror plotter Abu Sufian. Even better: Let’s take a page from Kanye West and project the names of all the Ikhwan-linked goons who are allowed to darken the White House doorstep onto the side of the Old Executive Office Building for all to see — along with their most infamous hate videos and fatwas against Jews, infidels, gays, women, and U.S. soldiers. No more play dates with Muslim jihad behind closed doors. Light ’em up. Read more. Malkin has also posted this article on her website here and included links to background information. The annual Troopathon event is broadcasting live today from the Nixon Library in Yorba Linda, California. Today, I’m in a remote area in Alaska (in Illiamna in Bristol Bay) and heading back in Todd’s float plane to do an interview for Hannity’s show on Fox in a few hours from our house. But I’m with friends at Troopathon in spirit from the far North and offer my support to this worthy cause. Troopathon is a wonderful way to show support for our brave men and women in uniform by sending care packages to our troops in combat zones. They’re willing to make the ultimate sacrifice for us. So Troopathon is the very least a grateful nation can do for them. This is just one small way for us to show them the love and appreciation they deserve. All it takes is a simple care package with a personalized note of thanks to show them that they aren’t forgotten. Imagine if you were deployed halfway around the world, not having seen your parents, husband, wife, son or daughter in months. You’re tired, sweaty, and probably somewhat lonely. And then out of the blue you are handed a care package with a sincere note of appreciation from an American back home. What a difference that little gesture makes! Please tune in today from 1-8pm to watch Troopathon (watch online at breitbart.com). You can find out how to send a care package by going to troopathon.org or calling 866-866-6372. Let’s show our brave troops the generous heart of a grateful nation. Care packages for the troops can be ordered here. This e-mail entitled “Sarah Palin did a great thing today” that I received this afternoon has additonal information. Right now as you read this note, the historic 7-hour Troop-A-Thon pro-troop telethon is taking place. Many patriotic Americans have stepped forward to support this effort to send the largest shipment of care packages to U.S. Troops serving overseas in history. You can join Sarah Palin, Ted Cruz, John Bolton, Mike Huckabee, Dennis Miller and others who are helping make Troop-A-Thon a success by sponsoring a care pacakage. Your care package will include a personal note from you to our troops serving overseas. To sponsor a care package – CLICK HERE. And please, take a few moments to enjoy the fantastic Troop-A-Thon live 7-hour telethon online. To watch this historic broadcast – CLICK HERE. Thank you for helping us honor these wonderful American patriots who serve and sacrifice for our American freedoms. Paid for and authorized by Conservative Campaign Committee. Not authorized by any candidate or candidate’s committee. Take a look at this video from Greta van Susteren about Sudan. We need to appreciate faith-based private charities like Samaritan’s Purse that offer hope. They continue to engage in tough, thankless tasks to provide for those who face seemingly insurmountable challenges. Thank God for these charitable people who have such big hearts to serve, and remember we can all help by contributing time and money to worthy private organizations that successfully help mankind. This is the video she linked to. The Samaritan’s Purse work is shown toward the end of the video. Note the vast improvement in the health and living conditions of the refugees being served by Samaritan’s Purse. @davidplouffe Is this all a game to you and your ilk? 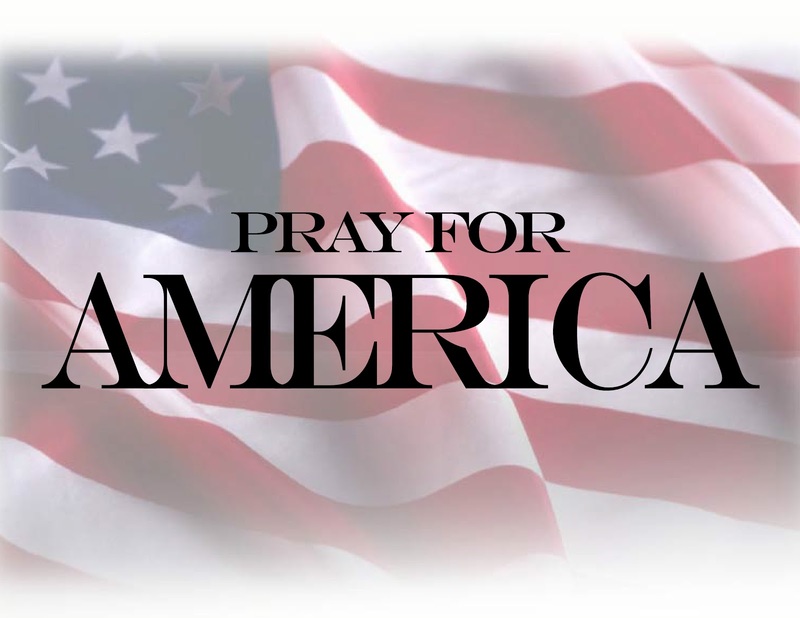 Your messiah's "Transformation of America" is destruction of America. Governor Palin talked to John Gibson on Tuesday about a number of topics. She decried the Obama administration’s war on coal, citing the increases in the costs of electricity. She called out Rubio and Ayotte, whom she had formerly endorsed, for flip-flopping on their campaign promises concerning amnesty and securing the border. Her suggestions for securing the border including privatizing federal lands along the border and giving pasture grants to border states so they could build border fences. Asked about Edward Snowden, she said that he told the truth and that the government lied. She said that Putin gave Obama the middle finger and that it is ironic that the leader of an “unfree” nation would declare Snowden a free man. She said that Snowden was not the problem – that the real problem here was the violation of Americans’ Fourth Amendment rights by the searches and seizures of private individual communications. She said that it is Orwellian that in this situation Snowden is the bad guy and the government bureaucrats involved are the heroes. However, she said that we are governed by the rule of law and that people need to follow the law. “Otherwise it’s chaos and it’s a very bizarre run Republic as we’re seeing today under Barack Obama, by the way. It is a bizarrely run Republic.” Her opinion was that both Snowden and the NSA officials who lied to Congress should be held accountable for breaking the law. Former Alaska Gov. Sarah Palin, who has the most influence among conservative voters in Republican primaries, told Breitbart News on Tuesday that Sens. Marco Rubio (R-FL) and Kelly Ayotte (R-NH) should be primaried for their support of the Senate’s immigration bill. Palin responded to Breitbart News’s request for comment about an interview she did earlier on Tuesday with John Gibson on Fox News radio in which she said Rubio and Ayotte “turned their back” on voters and should be primaried to be held accountable. Rubio and Ayotte will be up for reelection in 2016. Palin said Rubio had promised that “border security would come first,” and he would not support “legalization of illegal immigrants” and “amnesty” before border security while running in the Florida Republican Senate primary against Charlie Crist in 2010. She said Ayotte, whom she endorsed, had on her campaign website in 2010 that there were “no excuses” not to secure the border and also said she would not support amnesty. Palin also told Gibson that she had said “nice things” about Rubio before he “reneged on his promise” on the bill because she thought he was “an honest politician.” She remarked, “honest politician” is too often an oxymoron. “This is a scary place for our republic to be,” she said. She was referring to Obama’s upcoming speech at Georgetown University in which he plans to lay out his agenda for combatting climate change. Governor Palin and others see it for what it is – a plan to weaken our country even further through burdensome regulations. President Obama will announce Tuesday he is planning to sidestep Congress to implement a national plan to combat climate change that will include the first-ever federal regulations on carbon dioxide emitted by existing power plants, despite adamant opposition from Republicans and some energy producers. In a speech at Georgetown University Tuesday, Obama will announce he’s issuing a presidential memorandum to implement the regulations, meaning none of the steps involved in the plan will require congressional approval. In addition, Obama will say he is directing his administration to allow enough renewables on public lands to power 6 million homes by 2020, effectively doubling the capacity from solar, wind and geothermal projects on federal property. In taking action on his own, Obama is also signaling he will no longer wait for lawmakers to act on climate change, and instead will seek ways to work around them. However, critics say that Obama’s changes will create more problems for America’s coal industry. “This proposal will buttress an EPA proposed rule issued last year for new power plants that will essentially ban coal’s use in the future,” Tom Borelli, a senior fellow at FreedomWorks, told FoxNews.com. Forty percent of U.S. carbon dioxide emissions, and one-third of greenhouse gases overall, come from electric power plants, according to the U.S. Energy Information Administration, the Energy Department’s statistical agency. “Why would you want to increase the cost of energy and kill more American jobs?” said Boehner, R-Ohio, echoing the warnings of some industry groups. After 15 years of no increase in global temperatures — which decimates a huge majority of Climate Change models — our anti-science president took to the stump today for what was promised as a major speech on what he was going to do by executive fiat to save the world. Of all three cable news networks, though, it was his own peanut gallery at MSNBC who bailed first, broadcasting only 41 seconds of the speech. Between NSA leaker Edward Snowden, today’s Supreme Court ruling on the Voting Rights Act, and the ongoing George Zimmerman trial, President Obama can’t even get a minute’s worth of love from his PR firm over at NBC News.